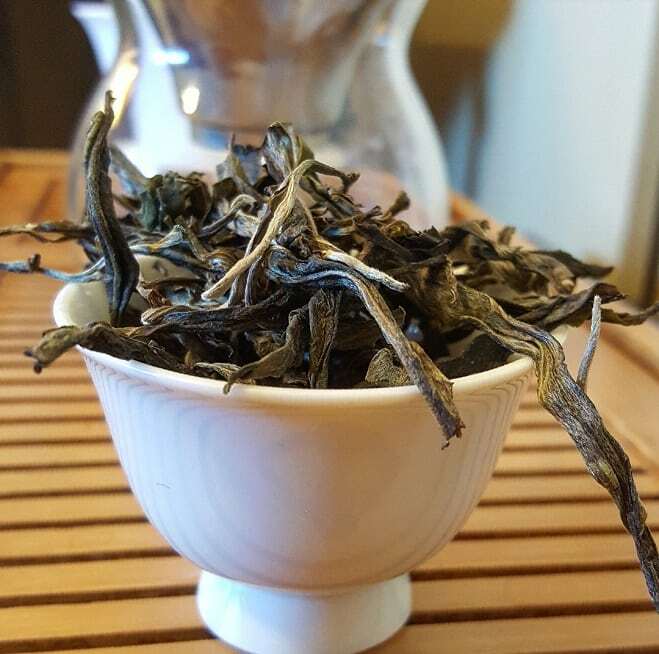 Glen and Lamu of Crimson Lotus Tea are one of my favorite husband-‘n-wife puerh hunter duos. Up until 2016, I only knew of them, and the good reputation they’d garnered over five years as trustworthy sellers of Yunnan’s favorite export. However, over the last couple of years, I developed a bit of a quixotic, after-hours correspondence with the Glen half of the team. During the spring and early summer months—while they were on one of their annual sourcing trips—I’d occasionally hear from him (or vice-versa) . . . at 2AM. In one such conversation, he casually mentioned they’d been invited to tour an old growth tea forest few Westerners had ever seen. He immediately had my attention; the words “secret tea garden” scrawled into my brain. A week-or-so-ish after that conversation, they posted this video on their YouTube channel. Details of the experience were purposely left vague. Even my later attempts at inquiry were returned with a tight-lipped, mum’s-the-word response from Glen. Apparently, some villagers were so protective of their gushu (ancient) tea trees, they request that potential purchasers keep information about it off the record. Tea tree poaching—especially of late—has become a real problem in Yunnan, particularly in regards to old growth forests. While large swaths of wild assamica tea forests and tea gardens do get registered for protected status, that doesn’t always halt rogue plucking operations. Oftentimes, it leads to old growth die-off due to over-picking. Glen, however, could pass on that they were able to acquire an amount of tea picked from that mysteeeerious garden. It afforded an interesting palatial opportunity for the drinker. Not only was old growth material used, but also leaves from the younger, smaller trees in the grove. While the villagers insisted all the trees were gushu, obviously some of them were just . . . mushu. Offspring or (maybe?) clones of the larger, granddaddy/mama assamicas. Glen jokingly referred to these as xing gushu – “young old tree”. I was mostly kidding . . . mostly. Glen told me to refrain from kidney “plucking”, and said he would dispatch some of the loose, moacha material. None of it had been pressed into cakes, yet. A couple of short weeks later, it was in my mailbox. The dark, forest green material smelled like it came from an ancient tradition. So unique was the aroma that some astringency melded with the earthy tones to create a layered, scholarly fragrance. Sure, it smelled like maocha—newer growth maocha, even—but there was a depth to it found in older trees. When I took my nose away, a faint lingering scent of moss and sea salt remained on the nostrils. For brewing, I had 10g of Wildwood to work with. I opted to use a little less than half of that. 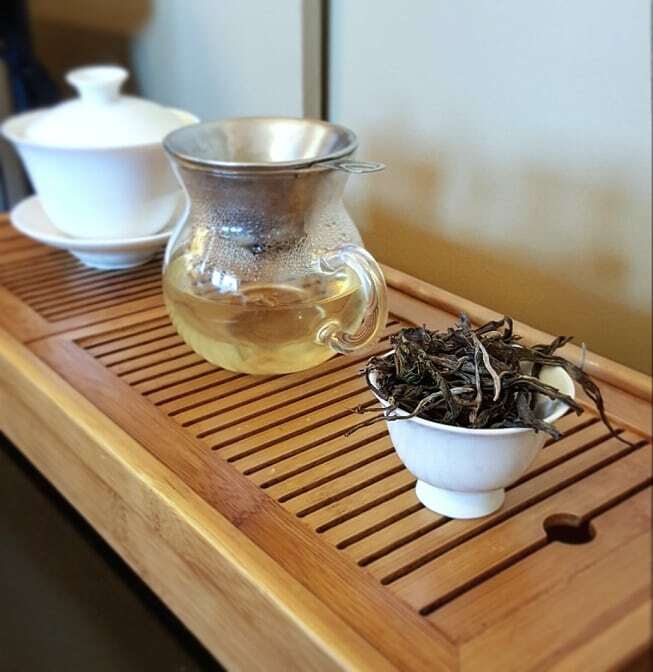 Sure, standard puerh brewing philosophy dictates that one uses at least 6g of leaf per 6oz. 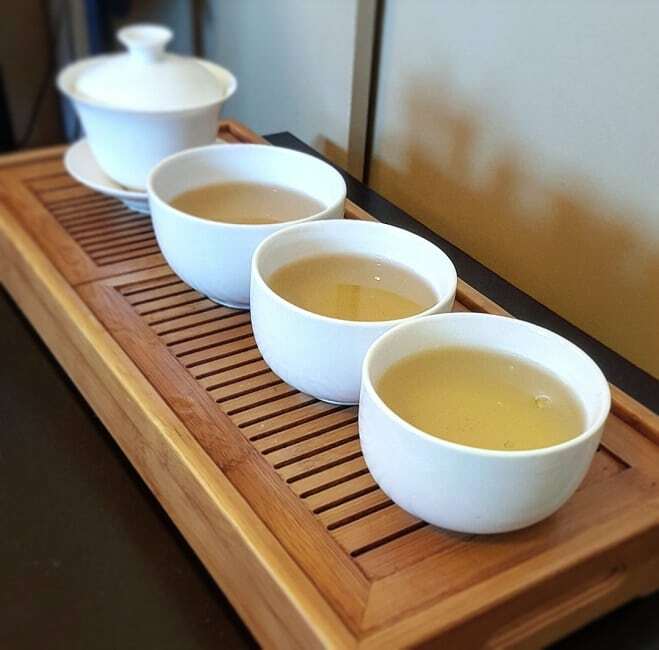 gaiwan. Well . . . I’m a wuss, and this was a young sheng. 4g would work just fine. I did a ten-second pre-wash of the leaves, saved the mini-infusion for later, and subjected the leaves to twenty-to-thirty-second infusions after that. Because who needs precision? The first infusion brewed to a spritely yellow-green color, more in line with a . . . well . 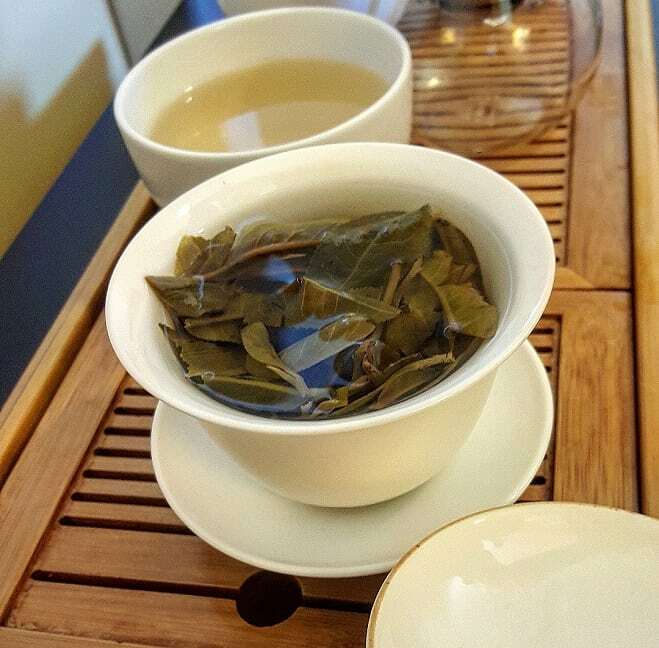 . . green tea than a sheng puerh. 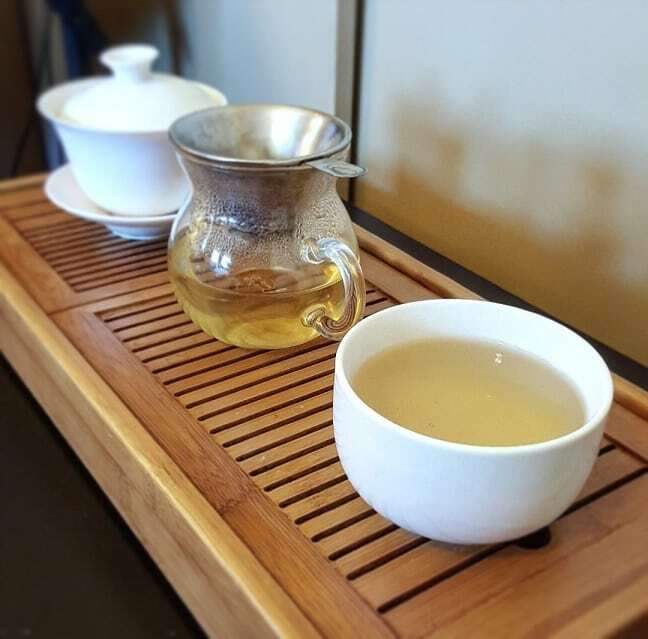 The aroma also felt very green tea-ish, save for an added layer of depth that made me think of the Jade Emperor’s beard for some reason. Does he have a beard? I dunno; I digress. As for flavor, this was all sortsa sheng-y goodness from first slurp to last. Unlike other youthful shengs out there, particular loose material, I detected no requisite bitterness; no astringency either. It went straight for the earthen melon notes and kinda stayed there. A part of me actually hoped the second infusion wouldn’t differ from the first too much, and it didn’t! Those same, perfectly smooth, “stone-fruits-in-front-of-an-ancient-stone-temple” notes remained; if not, deepened in abstraction. And again! No bitterness or dryness to speak of. Further steeps turned up more of the same with some of the nuances jigsawing around my puzzled palate. On top of that, my brain was in permanent “humming” mode—as if invisible feminine hands massaged my scalp. And that was only after steep #6! 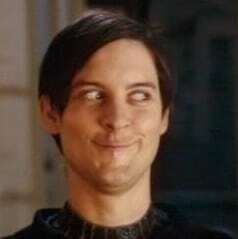 Eventually, my mind was too hazy to make sense of what number infusion I was on. I think I made it to . . . twelve? . . . Thirteen? Doesn’t matter. I steeped that sucker out for a good four hours. Each stage in the session tasted both young and old at the same time; like a May-December romance in my mouth. If it was this good, this young, and as loose, un-finished/un-pressed sheng puerh, I could only imagine what a pressed cake would taste like. A steaming and another sun-dry probably would bring out even more of the ancient stone-fruity goodness to the fore. All I can say is, I’m glad they were able to acquire this secret, incognito li’l gem. Also, they need their own tea garden nature show; stat. Did it stay the same over and over? More depth in later infusions, but generally same notes.